Linda Durr hails originally from Great Britain. She came to Alaska in 1973 and has over 30 years experience as a legal secretary and paralegal in many areas of civil practice. She has worked with our firm as a paralegal since May 1997, focusing primarily on probate, trust administration, and assisting with information-gathering and preparation of federal estate tax returns. 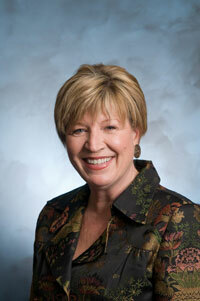 Linda is a member of the Estate Planning and Probate Section of the Alaska Bar Association. Linda and her husband raised two sons in Anchorage and were very much involved in the ice hockey and soccer programs when their boys were playing competitively. One son, daughter in law and two small grandchildren live close by in Anchorage; the other son now lives in Las Vegas. Her husband is employed by a local power utility company. She enjoys gardening, camping, and fishing on the Kenai River during the summer and Alaska’s majestic scenery at any time of year.